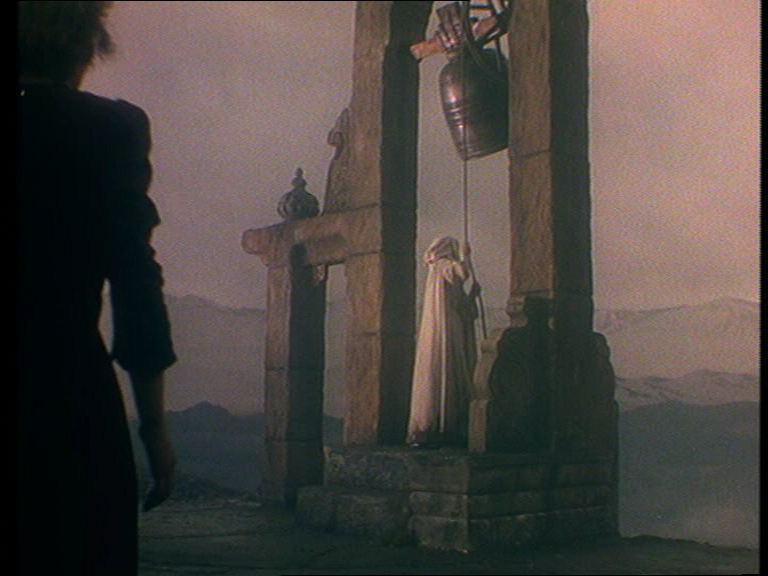 Disappointment 1: the lack of a really great critical study of Powell & Pressburger. Ian Christie’s Arrows of Desire was a fine starting point, and the coffee-table quality of the book, with glossy and lurid colour stills, makes it a nice visual companion to the Archers’ films. But Andrew Moor’s Powell and Pressburger: A Cinema of Magic Spaces just seemed too DRY to evoke these lush romances, and Scott Salwolke’s The Films of Michael Powell and the Archers is hampered by the fact that he hasn’t seen all the films. Several times in the book we get the phrase “is hard to see nowadays”, which I might believe if I didn’t have copies of them on my shelves. I guess I’d admit they’re hard to see, but not IMPOSSIBLE. The author doesn’t admit to not having seen HONEYMOON, but since all he does is reproduce some contemporary reviews of it, it’s pretty clear he never managed to track it down. I guess since the book is ten years old, things were tougher then, but I can’t believe THE BOY WHO TURNED YELLOW would be completely inaccessible: Raymond Durgnat sold me a copy for a fiver. Disappointment 2: What Happens Next: A History of American Screenwriting by Marc Norman. Norman wrote the script for SHAKESPEARE IN LOVE, which was then revised by Tom Stoppard (Norman professed himself delighted to have had Stoppard’s assistance), and this is his first non-fiction work. I was hoping to find some kind of thesis lurking in it, but it reads like a stack of anecdotes so far. It reads like *I* wrote it! The early chapters on silent cinema fall for the old one about Mack Sennett not using written scripts (the half-page or page-long outlines have in fact been found — Frank Capra’s autobiography is not the most reliable source for ANYTHING) and he talks about BIRTH OF A NATION having a scene breakdown prepared from the book, but which was never seen on the set, but he misses my favourite Griffith script story: Griffith’s first short, THE ADVENTURE OF DOLLIE, had its scenario jotted down by Griffith and cameraman Billy Bitzer the night before shooting, on a piece of cardboard that came from the laundry with Griffith’s shirt wrapped round it. Norman also refers to Chaplin’s first director as Henry Pathé Lehrman, missing the all-important inverted commas around “Pathé” (Lehrman got a job with Mack Sennett with a tall tale about having worked for Pathé: when the ruse was discovered, the name stuck) and says that Herman Mankiewicz worked on “some trifle” called CHRISTMAS HOLIDAY. It may sound like a trifle, and the casting of Deanna Durbin and Gene Kelly might have lead contemporary audiences to expect one, but CHRISTMAS HOLIDAY is a very dark film noir romance, and authors should resist making such statements about films they haven’t seen. I’d still like this book to turn into an impassioned and informed account of the screenwriter’s role, so I’m going to persevere a little further — this isn’t a proper book review since I haven’t finished the thing. I will report back if I end up more impressed by it. Disappointment 3: Hanno’s Doll by Evelyn Piper. I picked this up after belatedly realising that both THE NANNY and BUNNY LAKE IS MISSING, films I like a lot, came from Piper novels. I wanted to read something else by her. Although it does have a nice, twisty plot, the book took me ages to finish, being written in an irksome baby-talk that’s supposed to simulate the thought processes of the protagonist, a fat German actor (Piper must have had an eye of Curt Jurgens for a possible movie adaptation, or Gert Fröbe). Whoopee 1: Maja Borg, a recent graduate of the Edinburgh College of Art film course where I teach, has a show on next week, Thursday 21st August, 8.30 pm on More4 in their First Cut series. Happy Birthday, You’re Dead takes its inspiration from the fact that a fortune teller once told Maya that she’d die in a car crash before her 25th birthday. 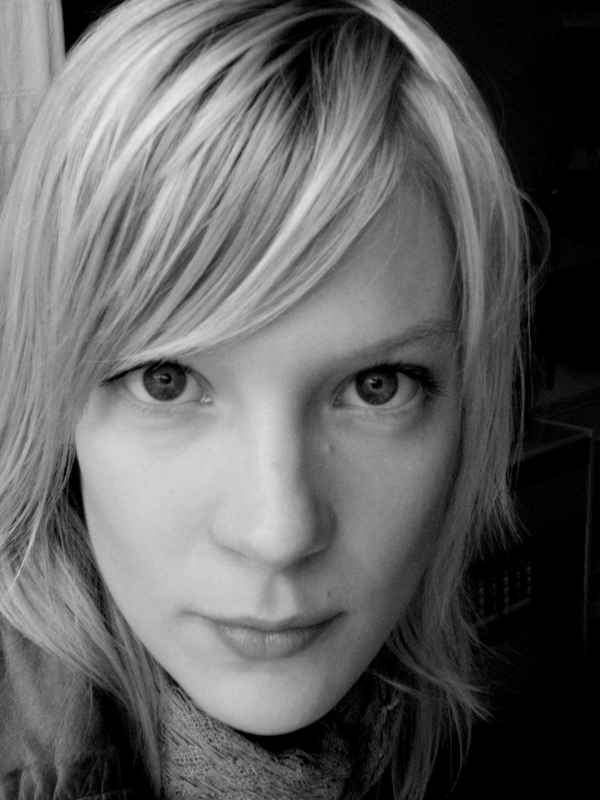 The documentary charts the “last” weeks of Maja’s life leading up to her 25th. I’m rooting for her to survive. This is a low-budget kids’ short I made for BBC Scotland and Scottish Screen’s Tartan Smalls scheme. It was fun to do Joe 90 sci-fi props and muck about with a childs’ eye view. But I guess I’ll never be Carol Reed or Alexander Mackendrick when it comes to directing kids. These boys were really good, but I didn’t know how to get the best out of them. I gained a lot of experience directing a couple episodes of a kids’ show called INTERGALACTIC KITCHEN afterwards, and feel I could do a lot better now. I like how the (very) little girl doesn’t seem to have been CONTROLLED, so much as turned loose with her dialogue. She swivels around and fidgets and she’s constantly in RANDOM MOTION, like a real kid. It’s from THE NANNY, script by Jimmy Sangster, directed by Seth Holt. S.H. was an interesting chap whose career crosses from Ealing (he produced THE LADYKILLERS) to Hammer (he died — of hiccups — while making BLOOD FROM THE MUMMY’S TOMB). Holt was singled out by the iconoclasts at Movie magazine as representing the best hope for British cinema to escape its literary-inspired “tradition of quality” and achieve some kind of robust, authentic, home-grown cinema. It didn’t quite happen. Holt’s NANNY star Bette Davis described him as “a tower of evil” and “the most ruthless director I have worked with apart from William Wyler,” which I assume was intended as praise, since Bette had a tempestuous affair with Wyler and made three great films with him. I wish she’d made more with Holt! Perhaps his failure to sleep with her ended that collaboration. I can see why Movie rated Holt so highly — he’s gutsy, clever, and in THE NANNY, genuinely inventive and capable of exercising a tight grip on the audience’s emotions. TASTE OF FEAR (AKA SCREAM OF FEAR), the film Movie singled out as showing signs of real promise, is an above-par DIABOLIQUES clone with effective frissons (a corpse seated at the bottom of a murky swimming pool traumatized a young Tom Hanks when his mother mistakenly took him to see the film!). Even a piece of hokum like BLOOD FROM THE MUMMY’S TOMB has points of interest, from its frenzied character performances to its knock-out ending, which seems to anticipate Polanski’s THE TENANT. More kidstuff: THE NANNY also features a turn from Perky Pam herself, Pamela Franklin, a Shadowplay favourite for her work in THE INNOCENTS and AND SOON THE DARKNESS.